This Ongoing War: A Blog: 8-Apr-14: When PA's "peace" negotiator says Hamas savages are not terrorists, what does this say about "peace"? 8-Apr-14: When PA's "peace" negotiator says Hamas savages are not terrorists, what does this say about "peace"? It seems there's yet another round of let's-set-aside-our-little-differences-and-just-get-on-together going on between the terror-loving Fatah movement and the terror-obsessed Hamas organization. Here's a taste of the creative thinking that it has now produced. "Hamas is a Palestinian movement, is not and will never be a terrorist organisation". 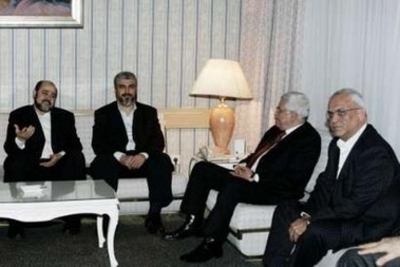 called on Hamas to implement all previous agreements with Fatah in order to "fight together against Israel... The political movements have an obligation to resolve their differences at the ballot box, and not through bullets... 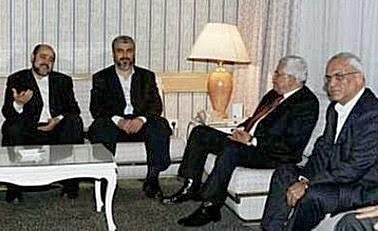 I hereby declare, in the name of President Mahmoud Abbas and the directorate of Fatah, that Hamas is a Palestinian movement, and is not and never was a terror group..."
Reading Erekat say Hamas "is not and never was a terror group" does not mean he knows less about that thuggish group than we do. We know from the Wikileaks papers that he made his contempt for the Hamas savages known in 2007 when he told a European politician “I can’t stand Hamas." As for being aware of their actual nature, a program broadcast on the Hamas-controlled Al-Aqsa television network told its viewers in Erekat's native tongue that "killing Jews is worship that draws us close to Allah". And as we know, Hamas proudly took full credit for the massacre at a central Jerusalem pizza shop that took the lives of fifteen innocent victims in 2001. 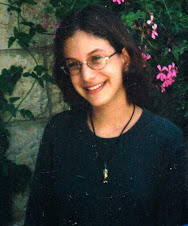 Since one of those victims was our daughter, Malki, we're in a position to invite anyone who wants text or video of the numerous celebrations by Hamas of that achievement to be in touch with us. And if anyone seriously doubts that pure, unadulterated terrorism is what Hamas teaches Arab children in the formal, informal and summer educational programs carried out in the terror-infested Gaza Strip in its name, we are ready to oblige. 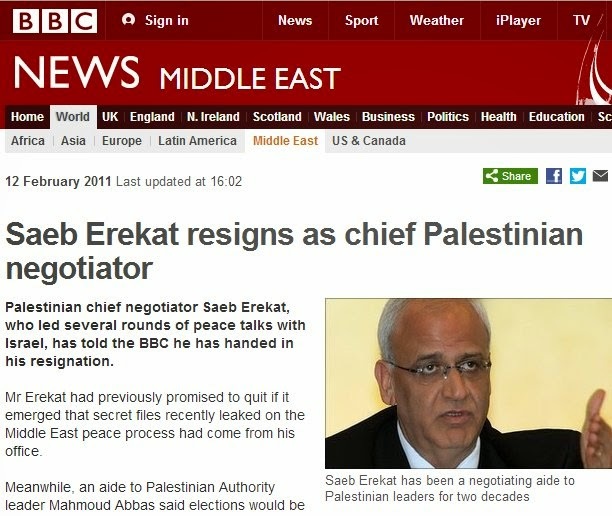 Erekat, a well-connected person, knows these truths no less well than the rest of us do. It's clear he doesn't mean to dispute them. He's comfortable with them. For a man of his moral flexibility and political chutzpah, terrorism in the name of a cause for which he is deeply sympathetic is simply not terrorism. But none of that is the actual problem; the issue is not with Erekat. As the Turks said, he is a man of "incoherence", and they were being polite and restrained. The problem - the far greater problem - is with all those editors, analysts, politicians and civil servants who deal with this disgraceful man as if he were the genuine article, as a man seeking peace. an Erekat performance with so many encores. And media professionals don't know this? When they describe him in their speeches and articles as the chief Palestinian "peace" negotiator for the past two decades, they are willingly buying into whitewashing a public career characterized over decades by dishonesty and malevolence. 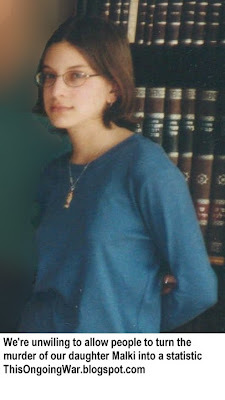 They also overlook the man's drama-queen tendency that has produced a series of highly public Ereket resignations [see "Erekat: 20 years of goodbyes"], all of them quietly reversed when the media's attention moved on. Speaking live to CNN in 2002, Erekat said Israeli forces were attacking Arafat’s compound in Ramallah. He described shooting, shelling, an injured Palestinian policeman that the Israelis were preventing from being evacuated by ambulance. CNN then crossed live to its correspondent at the Arafat compound while the interview was still underway to report on what was going on there, which was absolutely nothing. [Source: Honest Reporting]. 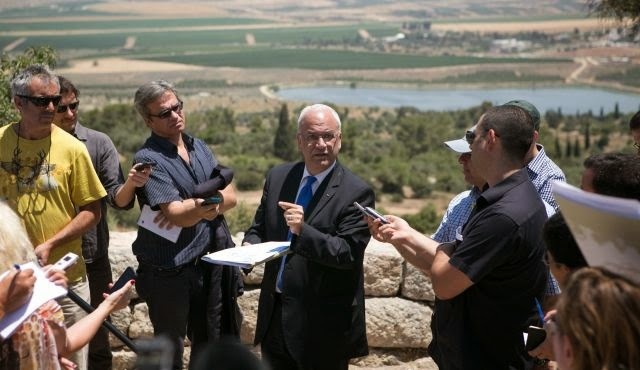 Erekat, cynically exploiting his media credibility, notoriously promoted the fiction during Operation Defensive Shield (Israel's response to a crescendo of Palestinian Arab human bomb attacks on civilian Israelis) that Israeli forces had savagely killed "523" people in Jenin. "I have 1,600 names, missing people from the refugee camp. I have mothers calling me speaking about missing their daughters, their sons. I have husbands missing their wives. I have parents missing their grandparents." Putting it beyond doubt, he told the news media (according to a CNN transcript): "A real massacre was committed in the Jenin refugee camp". The impact of his histrionics is reflected in key news reports such as the one from The Guardian that asserted "Israel's international reputation slumped to its lowest point for two decades yesterday..." Erekat was at the heart of that blood libel. As a CAMERA report pointed out at the time, no one in the mainstream media seriously challenged the man's facts or motivations. The subsequent findings, that several dozen Palestinian Arabs were killed in the Jenin battle, the majority of them combatants, came too late to reverse the damage caused by this assault of pure, unadulterated propaganda, as CAMERA's report termed it. 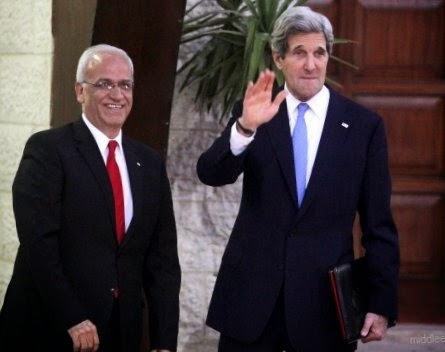 It's neither surprising nor especially problematic that Erekat says the blood-drenched Hamas "is not and never was a terror group..." unless you think he is a reliable source of facts and someone who strives to bring peace to the conflict. People can choose to believe this and ignore the evidence. But real questions need to be directed at certain others. Since it's unreasonable to think those who package and distribute the news are less aware of what Saeb Erekat does and says than we are, why do they continue to provide him with the indispensable credibility and exposure that he craves and exploits? In this light, how surprising is it that the Palestinian Authority demands the release of growing numbers of convicted murderers and publicly celebrates their crimes as great achievements and heroic deeds? In what parallel universe would this be central to something called a peace process? Why does the US State Department continue to decline to answer this simple question? Those convicted, imprisoned and unrepentant Palestinian Arab murderers whose freedom is being demanded by the Abbas regime who see them as heroes - are they freedom fighters, as Erekat implies? Or are they terrorists?